When environmental chemist Deborah Swackhamer testified in a House science subcommittee hearing about “Expanding the Role of States in EPA Rulemaking”, neither the environment nor the chemistry were in a state of equilibrium. Swackhamer is a Professor Emerita at the University of Minnesota and the veteran chairperson of the EPA’s Board of Scientific Counselors (or BOSC), an 18 person committee of, well, scientists–mostly academics, but there’s a few industry and NGO voices as well. The BOSC is there to help EPA staff scientists prioritize their work providing input on programs such as the Roadmap for Global Climate Change. Two weeks before her testimony, the EPA chose not to renew the contracts of half of her 18-member board. The suggestions that the BOSC provides are just that–suggestions. They are nonbinding. However, for every report the Board submits, the EPA is required to formally respond and explain why they are or are not taking this or that suggestion. This is a transparent process which is all in the public record. While at first, this might seem like a routine reshuffling in the midst of a change of administrations, it is anything but that. In fact, it is an unprecedented purge of scientists from academia. 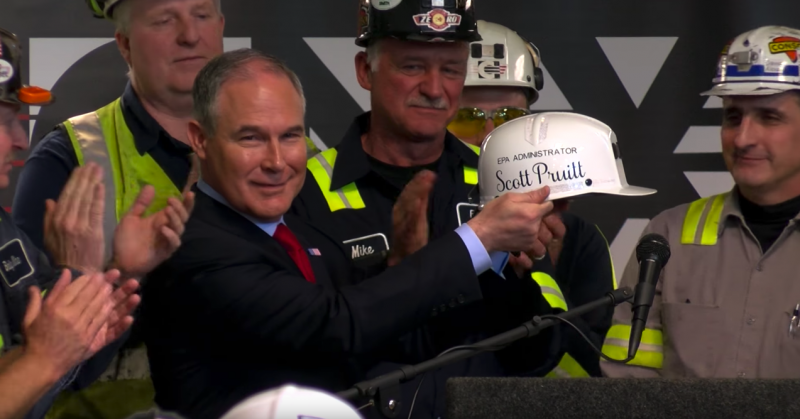 There are 21 other science review boards in the EPA that could be under review–just like the over 200 advisory boards of the Department of the Interior that are currently being reconsidered. Many scientists, and those who care deeply about the integrity of science, are worried that this sort of action paves the way for industry to put its thumb on the scale as the federal government considers various environmental regulations. “It is a way of stifling the participation of scientists by drowning out the voice of science with unscientific corporate industrial assertions,” Rush Holt, CEO of the American Association for the Advancement of Science, told me earlier this year before testifying on this matter to Congress. He echoed that sentiment at the hearing. So what does this shakeup mean for this board and for the EPA going forward? Keeping a critical mass of academic scientists on the BOSC will be even more difficult now, as two other members have resigned in the wake of the purge. “We cannot in good conscience be complicit in our co-chairs’ removal, or in the watering down of credible science,” wrote Drs. Carlos Martin and Peter Meyer in their resignation letter. Under Scott Pruitt, the Trump EPA is clearly forging a path to give industry a much greater voice in regulating itself. 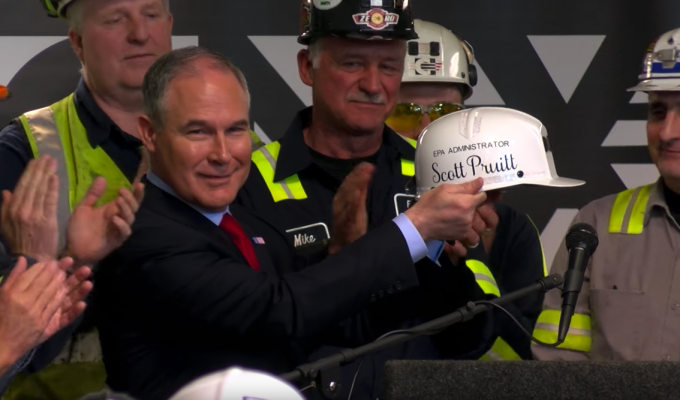 Pruitt claims it’s possible to grow jobs and protect the environment. Despite the rhetoric, all signs indicate the Trump Administration is not genuinely serious about protecting the environment in general and, more specifically, addressing perhaps the most urgent challenge we face: climate change. Considering that both have been known to dispute the impact of people on the changing climate or, in fact, that the climate is changing at all, it’s probable that the EPA priorities mentioned will not promote programs focused on studying and mitigating climate change. Although the climate change website is down, thankfully the climate research data remains safe. Much of the data is hosted on other sites, like Data.gov. However, it’s still frightening for some scientists, like NYU’s Dr. Jerome Whitington. There is some concern about preservation, but the larger problem is accessibility. The Administration might say that letting science advisory board memberships lapse and updating climate change websites to reflect current priorities are all normal and nothing to worry about. But environmental advocates maintain that this action puts government science agencies on a dangerous path.